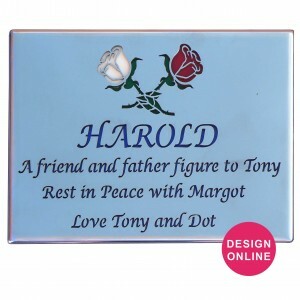 It’s difficult to capture all nuances of someone’s character in a few words and an image, so Forever Shining offers a diverse range of plaque memorial products to let our customers truly capture their happiest moments. 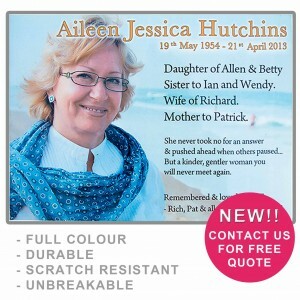 We offer an extensive range of memorial plaques, most of which are available to design online. 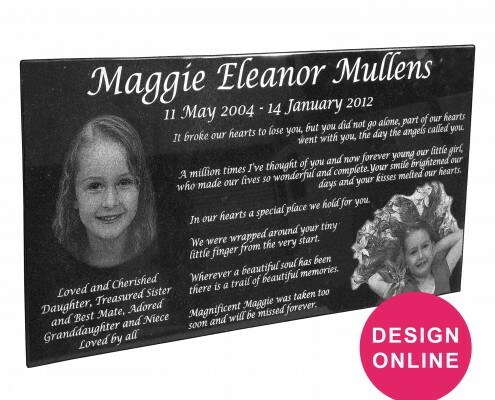 We allow customers to completely customise the design of all of our plaques, whether it be through our online design tools, or through a studio or email consultation. 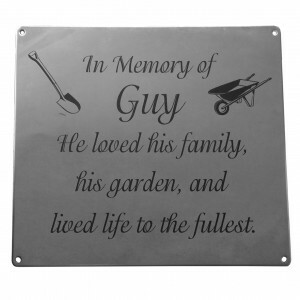 These allow you to design a unique memorial plaque with your own choice of text, images, and motifs. We offer a variety of materials, including bronze, stainless steel, granite or porcelain, with a variety of engraving and inscription types. The laser in our Perth design centre provides our customers with an exciting product which allows individual designs to be engraved into stone. Over the past decade our product range has grown and we are proud of the service we offer to our wide customer base. Our dedication to delivering a level of excellence and utmost quality has led to many of our customers returning to us for repeat orders when the need arises. 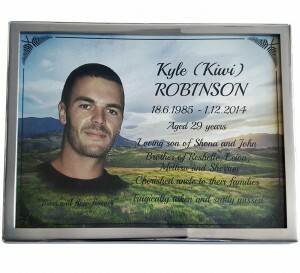 Durable steel plaque with an enamel and glass coating. 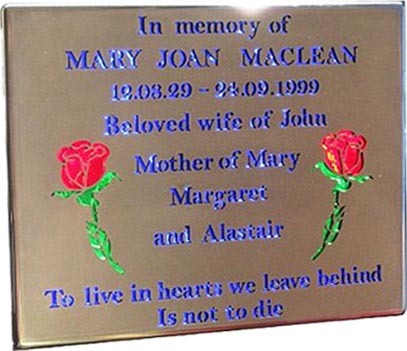 Vitreous Enamel plaques feature full colour images with photographic quality, with a toughened glass layer to protect against rock chips, stone chips and scratches. An old signmaking technique brought to the 21st century! 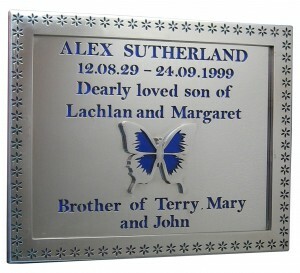 Stainless steel plaque with light-transmitting glass inscriptions and motifs. 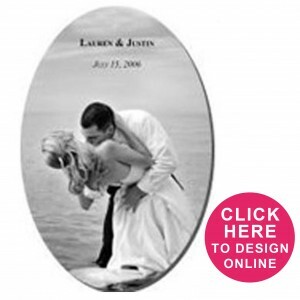 Many other options including photo inlays and overlays.